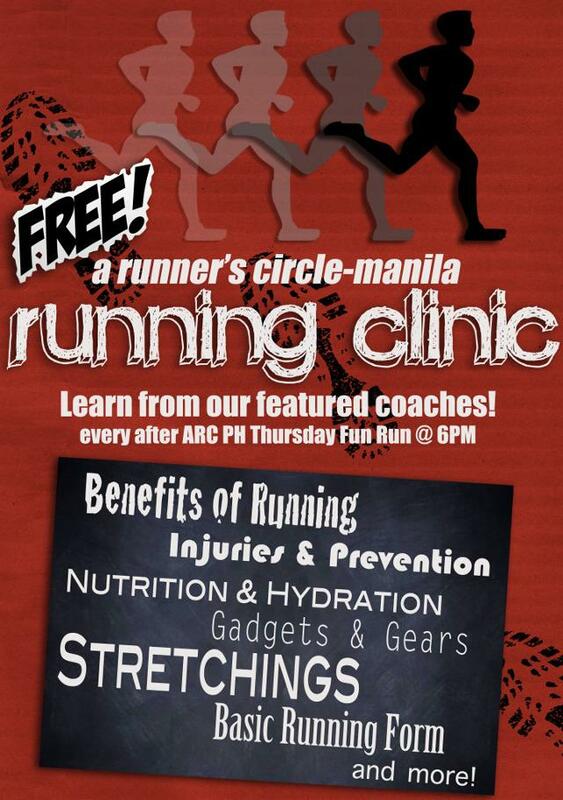 Want to join ARC Manila Running Clinic? Here's your chance to join for FREE!!! This coming Thursday, ARC Philippines will be having it's first running clinic at the store after their weekly Thursday Fun Run @ 6PM. Learn from the top coaches and athletes that will featured every Thursday. Learn more and improve your skills. See you all!! !